We have a variety of plants around, but here is one in particular that I find interesting. 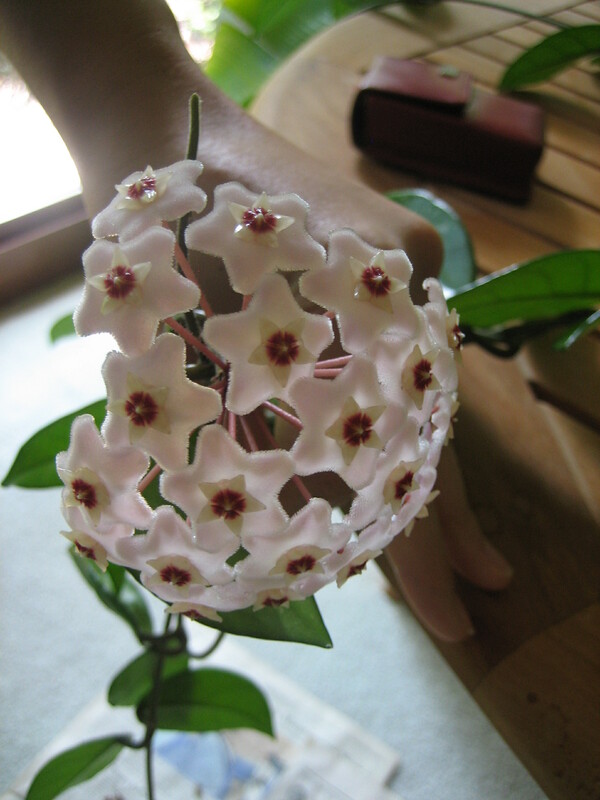 The wax flower. Up close, it is waxy, and it looks like it could have been made from plastic with a furry finish. Cute as a button. Oh the wonders of nature!